1. Will I Get Taxed for Cashing in My Pension Early? 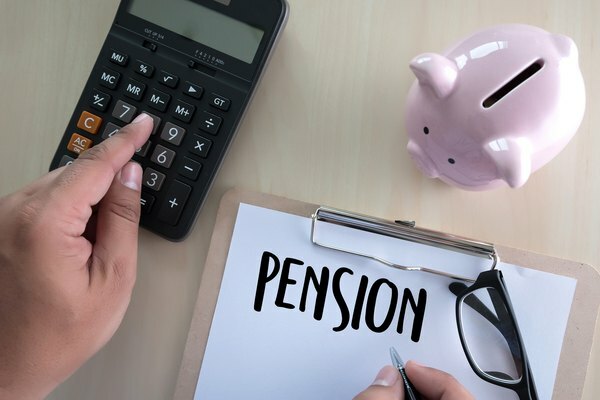 When you enter into an employer-sponsored pension plan, the general expectation is that you and/or your employer will contribute to this fund until you either find a new job or retire, typically at a point when pension withdrawals are not subjected to an early withdrawal penalty. According to IRS guidelines, individuals can begin withdrawing penalty-free funds from a pension plan such as a 401(k) at the age of 59 1/2. If you decide to undertake an early pension buyout, you may have to pay a heavy early withdrawal penalty in addition to an increased income tax based upon what will likely be an elevated ordinary income bracket. Although withdrawals from these accounts can be made beginning earlier, individuals will be forced to pay a lofty 10 percent penalty unless they qualify for one of several tax exemptions. More often than not, however, individuals who do choose to make an early withdrawal will be penalized. Because the IRS heavily discourages early withdrawals, it is in your best interest to take the time needed to understand what you will lose if you do proceed with a penalized withdrawal. Not only must you be concerned with the penalties associated with these early distributions, but you should also be aware of how these funds will be taxed upon receipt if you enter into a pension buyout. Although the rules regarding taxation change slightly depending upon the specific retirement account you are using, pensions will typically be taxed during the distribution phase rather than during fund contribution. When you contribute funds to a pension, you are typically not paying tax on the money you deposit into your retirement account. This is due to the fact that private sector defined-contribution pension plans such as a 401(k) are tax-deferred at the time of contribution. However, just because you do not pay tax on these funds at the moment they are deposited into your 401(k) or some other pension program does not mean you will avoid taxes forever. In fact, you will be forced to pay tax on this money when it is eventually withdrawn from your retirement account. As per IRS guidelines, retirement accounts are taxed as ordinary income rather than capital gains. When funds are distributed from your pension plan, you will add this sum of money to other income earned throughout the year and report the total as your income on your tax return. IRS Form 1040 can be used to report this type of qualifying income. Depending upon your current age, the amount of money you will be allowed to contribute to your pension plan may change. For individuals under the age of 50, a total of $19,000 can be contributed to eligible pension plans like a 401(k) for tax year 2019. Once an individual has passed the age of 50, a "catch-up" period begins in which an additional $6,000 can be contributed annually, bringing the sum total of contributions up to $25,000. Keep in mind, however, that the $25,000 contribution limit applies to the combination of all traditional qualifying retirement savings plans. With that in mind, although you would still be able to contribute the maximum allowable deposit of $19,000 to your 401(k) and $6,000 to your Roth IRA, this would effectively "max out" your contributions for the year. Maintaining a close overview of your overall pension contributions is critical when developing your retirement income strategy. The size of your pension will, for example, significantly influence your decision-making when it comes time to determine whether or not you should commit to a lump sum pension buyout upon arrival at your penalty-free eligibility period. Knowing the size of your pension will also help you determine how much more you need to contribute in order to reach your retirement goals. If you are unsure as to how much money you should be saving, this is an excellent question to ask a retirement adviser. Based upon the cost of living in your area of residence and the expected rate of inflation, you can estimate a yearly income which will ensure that you can maintain your lifestyle throughout retirement. Knowing that your pension withdrawals will affect your ordinary income tax levels should compel you to develop a tactical distribution strategy that ensures that you aren't paying tax needlessly. Take, for example, the following scenario. At the moment you become eligible to withdraw funds from your pension, you decide to withdraw all of your eligible funds, thus completing a buyout of your pension. Although you will receive a large sum of money which can be used as you see fit, the sudden influx of these funds could launch you into a significantly higher tax bracket than you may have anticipated. Because of this, you will likely be forced to pay back a substantial part of your pension funds in taxes. Unless you plan on spending the entirety of your pension within the year you withdraw it, there is virtually no reason to engage in a total pension buyout. The comfort and peace of mind of having these funds completely at your disposal will be countered by the unwieldy tax burden that comes along with them. Because of this, committing to a lump sum payment is generally not recommended unless it is absolutely essential to do so. Particularly if you are attempting to make a lump sum pension payout before retirement, the combination of penalty fees and taxes will cut into your overall savings significantly. Instead of rushing to withdraw your pension funds as early as possible, it may be worth your time to create a cost-of-living plan that carefully assesses how much income you will actually need for each year following your retirement. After completing this plan, you will be able to withdraw precisely the right amount of money needed to support your lifestyle. This level of precision will also help ensure that you aren't paying taxes needlessly. Funds that remain in your pension can also continue to generate income as part of their role in the investment process. As a general rule, you should speak with a qualified investment professional or retirement specialist as soon as you are able in order to determine what your best steps moving forward should be. There is no single "right" approach to a pension plan. In some scenarios, a pension buyout may actually be the best possible move for you. However, until you receive confirmation about your actions from someone with extensive experience, you should continue to explore all of your available opportunities. Failure to do so could result in missing out on potentially rewarding savings opportunities which ensure an even more satisfying retirement following decades of work. Investopedia: How Do Pension Funds Work? What Is a Retirement Buyout?